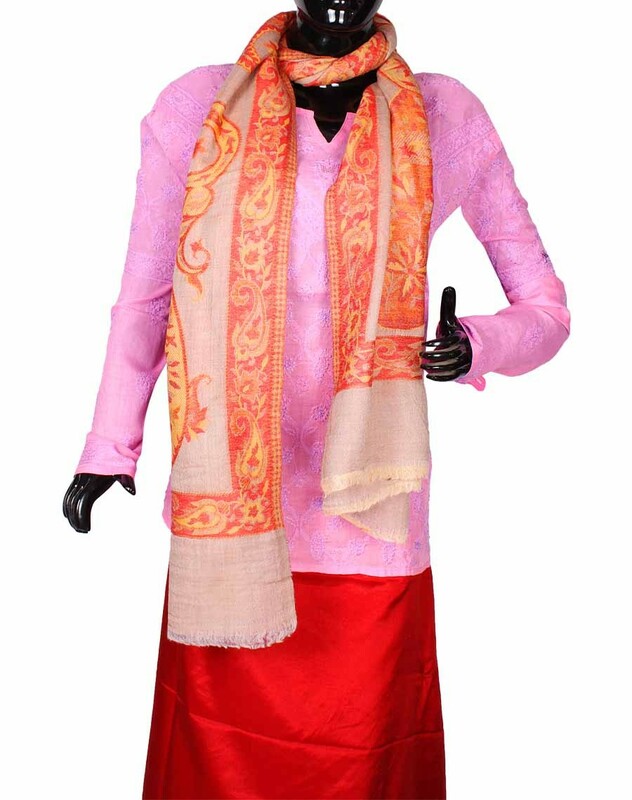 Artistic himroo stole comes from hand weavers of Aurangabad. Can use it on regular basis in winter season. In demand for its unique style and design. We simply call ourselves the ‘Himroo Art Conservers!’ We are the 6th generation of the Kureshi’s who render a chrysalis to the Himroo and Paithani textile Art. Himroo the fabric of the Mughals and Paithani the quintessential of every Maharashtrian marriage, is our flagship since 1891. These 120 years of existence has been our mission to preserve and permeate the textile to its connoisseurs. Our forefather and the founder of Himroo Fabrics: Habib Ahmed Kureshi with his son Bashir Ahmed Kureshi established the weaving center, which still weaves the most genuine hand-crafted Himroo and Paithani Textiles.We simply call ourselves the ‘Himroo Art Conservers!’ We are the 6th generation of the Kureshi’s who render a chrysalis to the Himroo and Paithani textile Art. Himroo the fabric of the Mughals and Paithani the quintessential of every Maharashtrian marriage, is our flagship since 1891. These 120 years of existence has been our mission to preserve and permeate the textile to its connoisseurs. Our forefather and the founder of Himroo Fabrics: Habib Ahmed Kureshi with his son Bashir Ahmed Kureshi established the weaving center, which still weaves the most genuine hand-crafted Himroo and Paithani Textiles. Presenting to you the most beautiful, distinctive and luxurious fabric of all times beginning from noble’s of olden day’s. Himroo stoles; the most famous form of Aurangabad art made using the amazing pure wool would definitely endow you with a particular beauty. To be clothed with the aura of respectability, we bring to you himroo stoles. This satiny shining addition to your vests, blouses and cloaks would give you the most pleasing and appealing experience ever.